If you have been entertaining any fantasies of driving an epic road trip on the highway that runs from Alaska down to the tip of South America, be prepared when you get to Panama. You can't drive to Colombia from there. We're as serious as a heart attack: It's impossible. The Pan-American Highway does stretch from Prudhoe Bay, Alaska all the way down to Tierra del Fuego National Park at the tip. On paper. But if you look at the map carefully, you will find one impenetrable, 90-kilometer gap in the road. 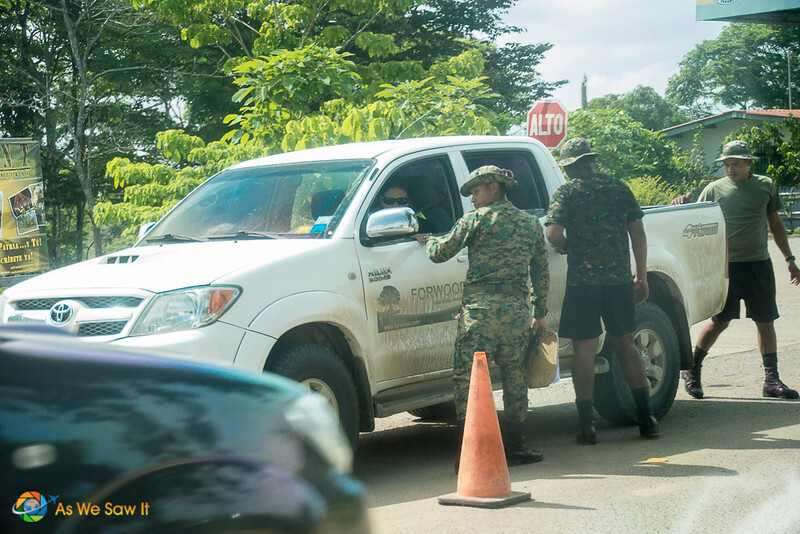 Crossing the Darien Gap at the Panama-Colombia border has been called the world's most dangerous journey. Why is there no road through the Darien Gap? Building a road through the Darien Gap has been discussed for over 100 years, but the mountains and swampland in the region make road-building expensive. Rumor has it that Colombia wants to invest over $600 million into a road that will basically dead end at the Colombian border, but Panama is against the idea. The fear is that it will aid drug traffickers and illegal immigrants, impact indigenous communities and degrade the environment. Besides, rebels and smugglers along the border would make the effort even more perilous. So with swamps and no road, you need a different option. 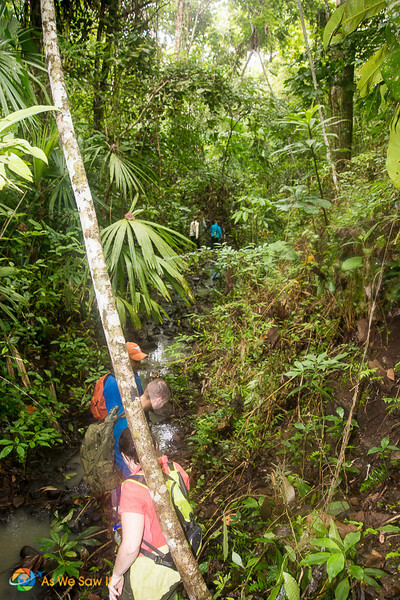 Can you hike through the Darien Gap on foot? 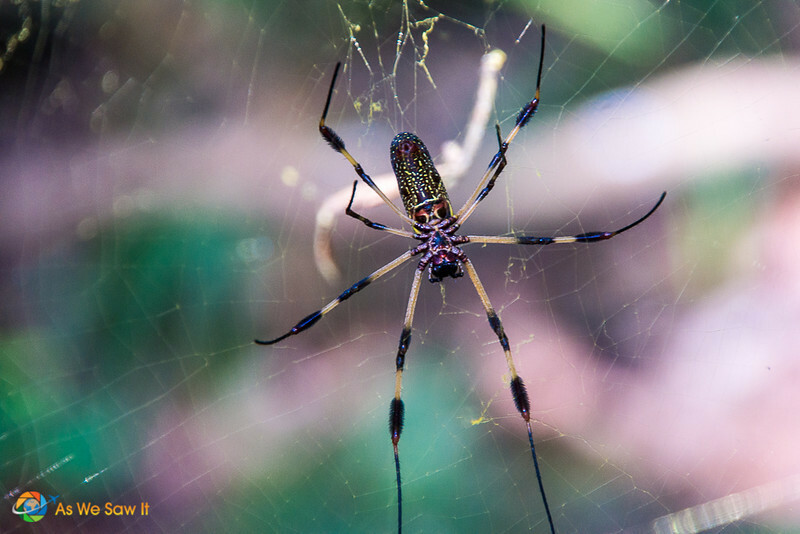 Unfriendly wildlife – we're talking about snakes as big as your arm, man-eating cats that are bigger than the snakes, crocodiles and caimans in the rivers, biting ants and spiders that can drop down your shirt without warning … you get the idea. A few optimistic people brave the risks and attempt it every year. I don’t know how many succeed … but we think that there are enough documented cases of people disappearing permanently to discourage any notions of our trying it ourselves. Besides, we have an aversion to bugs and prefer to sleep in real beds. Any time someone tells us we shouldn't go somewhere, we are intrigued because things can be exaggerated for drama's sake. There are obviously people living there, which makes you wonder if the province is really as dangerous as they say. So when we had a chance to take a four-day trip to a Darien nature reserve, we seized the opportunity with both hands. We could see a bit of “the Darién,” safely. The highlight of our tour experience was a 7-kilometer hike through virgin rainforest, escorted by a knowledgeable and talkative local guide. But that one burning question wouldn't leave me in peace. Finally, wanting to get the scoop from someone with firsthand knowledge, I asked him if people can hike through the Gap all the way to Colombia. Be prepared to pay a lot for the experience (he quoted $5,000). It will be uncomfortable and take about three days of hefty traveling. He described the journey to us. Omigosh. Can you say ordeal? Before we go any further, let's be clear. All information shared on As We Saw It for informational purposes only. We will not be held responsible for any actions taken as a result of reading our articles. You're an adult. You are responsible for your own decisions and actions. ‘Kay? Now, let's move on. 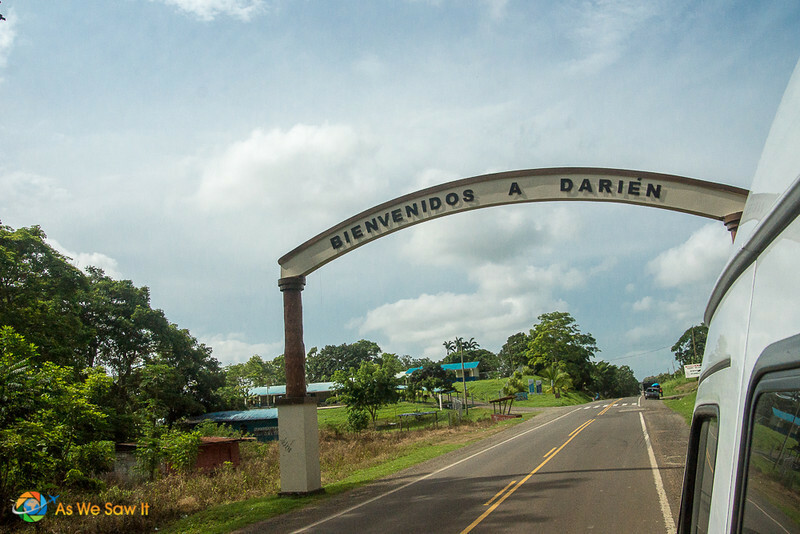 Crossing the Darien Gap starts with a drive to Yaviza, the town at the Panama end of the Pan-American Highway. Expect to be stopped by the police repeatedly. At each stop you will need to provide your name and a copy of your passport. Once in Yaviza, spend a half day hiking to a river. Then spend the next day navigating rivers in a rustic boat. The next day involves more hiking to the border, where your guide will bid you goodbye and quietly return the way he came. Oh, by the way, now that you've entered the country, you still have to get your passport stamped. Sound like fun? We don't think so, either. Planes are obviously the fastest and easiest way to get to Colombia, but not nearly as adventurous as hiking the Darien. There are non-stop flights between Panama City (PTY) and Cartagena (CTG). Find prices on Skyscanner. Cargo ships sail from Colon and/or Portobello to various Colombian port towns. Yes, you can travel by cargo ship. Have you heard that there’s a ferry between Panama and Colombia? That was true for a short time. Ferry Xpress ran a car ferry between Colon and Cartagena, but service has been suspended. This is not for the queasy; the water can be very rough. You fly to the border town of Puerto Obaldia, then take a 3-hour boat ride to Turbo, Colombia. Buses run from Turbo to both Medellin and Cartagena. The trip usually takes between 8 and 10 hours. This is a fun multi-day journey as it includes a visit to the beautiful San Blas islands. Costs compare to a plane flight. Many companies offer services, such as San Blas Frontera, San Blas Adventures and Panama Travel Unlimited. Of course, you can also ask at your hotel/hostel or search the web. But don't automatically choose the cheapest ride. Verify the details or you might not get what you expect. 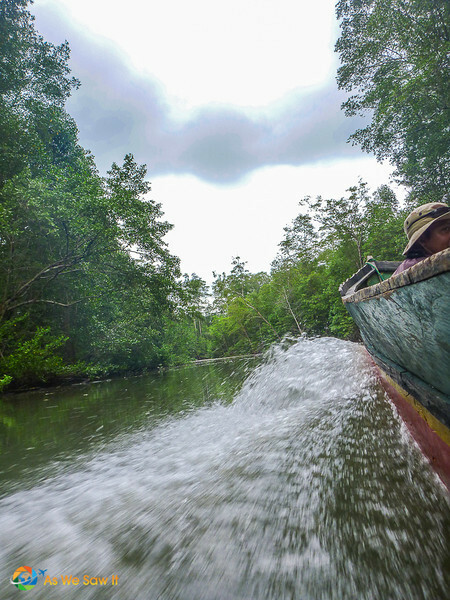 According to Runaway Guide, you begin your journey across the Darien Gap with a domestic flight from Panama City (PAC) to the city of Puerto Obaldia (PUE). After obtaining your exit stamp, you will then take a 30-minute motor boat to Capurgana. From here you take another boat across to Turbo, where you can then take a bus down to Medellin. Be prepared for rough seas. How do I get my car across the Darien Gap? The only way to get a vehicle past that stretch of non-road is by cargo boat. We have heard has it that it is an expensive, confusing, and exhausting experience but have no first-hand knowledge. You can watch a video about it here. Panama's Darien province is a unique destination and worthy of any curious explorer. This is probably the best place to experience true Panamanian culture, but it's best to have someoreone who knows the area show you around. You won't see much – or get very far into the region – if you try to do it yourself. Be prepared for a primitive experience once you arrive, because internet is nonexistent, cell signal is highly unlikely and electricity is only available overnight. Not having electricity wasn't as much of a problem as we had expected though. We had lights and power to charge our devices and best of all, air conditioning in our bungalow. 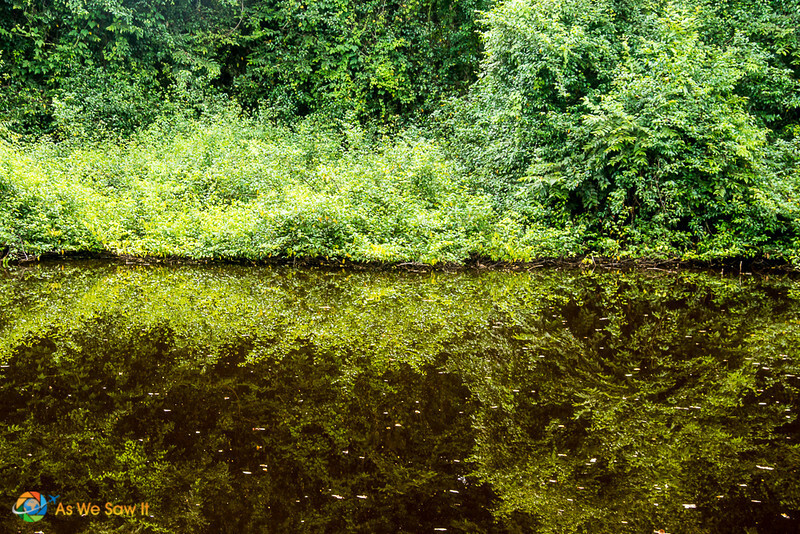 The photos in this article were taken during our trip to the Darien, while we were hiking on (relatively) cleared paths on our lodge's property. We had it easy compared to those who trek over the border, but it was still a hot, sweaty and sticky hike. And in case you are wondering, especially after that experience, we have absolutely no desire to spend three days hiking through the steamy rainforest, fighting mosquitos and dodging the FARC paramilitary all the way to Colombia. Nope, not for us. Give us a quick plane ride any day. We took the Coastal Darien Explorer tour with Ancon Expeditions. We strongly recommend that you plan some down time, both before and after this adventure. Take some time to look around Panama City and enjoy Cartagena. It will give you a better feel for the two cultures. Besides, those two cities will be a nice before-and-after, urban contrast to the Gap. We've partnered with the folks at Get Your Guide for booking tours, attractions and activities. They may not offer any trips to the Darien, but they do offer other adventures, such as a Panama Cross-Country Highlights 8-Day Tour and a Panama Cross-Country Highlights 8-Day Tour. Or spend the day sunbathing, swimming and relaxing on a Colombian beach. For more sightseeing, take a look at our Darien photo album. To get an idea of the geography, Google has a map of the Darien. 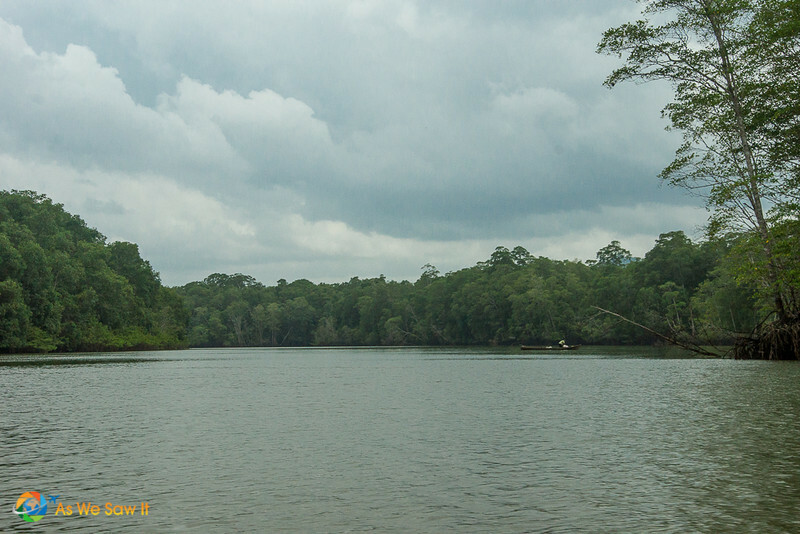 For more about crossing the Darien Gap, here are some related books and articles. Here are some more stories you can read online. Col. Blashford-Snell crossed the Darien Gap in 1972 using a couple of Land rovers and with the help of some kit designed by me. Very cool! Tell us more about the kit? We’d love to hear! If you ever do the trek, we want to hear all about it! Wow, Al, you really had quite the experience! Thanks for sharing it with us – we can’t imagine how tough it was, but for a vet to say it’s a “non-destination,” well, that says a lot. Kudos for doing and enduring. What a story! I had previously commented on the trek from Panama to Columbia, target Turbo, Columbia. Here is a clarification (after consulting my log).Highlights; 1. flight from Paitillo to Puerto Obaldia 2. exit Panama, trek begins early am 4. encounter over next 10 hrs two families, providing direction 5.early start day 2, destination Acandi 6. arrive Acandi about 1400 7. ship to Turbo about 6.5 hrs. So, in short the hike was two full days . . and probably the shortest path from Panama to Columbia. A really difficult trip. Details include, bugs, bruises, frogs and pain. Trip 10-13 March 1977. This was the first major step back to Amazon and East till back in the USA, eleven months later. Haha – Maybe Latinos don’t seem to have a problem with Gringoing because they’re not on the receiving end. I hate the double standard, but we Americans have been taught to think EVERYONE should be treated the same, regardless of race. Not sure whether it’s because of our Constitution or because the Bible says we should treat everyone equally. But it’s clearly dependent on culture. We’ve not experienced that here in Malaysia, but we did in Bali. Wow, you are really going to have a fabulous adventure! Do you plan to share it online? I’m sure a lot of us would enjoy reading your stories. Wow there are so many amazing stories and brave people out there! I would never have the courage to do that…. Me and my boyfriend took a speedboat through the San Blas islands which was a little bit less of an adventure but really amazing. You kinda skip the Darien gap because you travel with the boat along the coast but as a bonus point you travel through the San Blas islands which are paradise itself. In total the trip took as three days but we could have stayed longer. 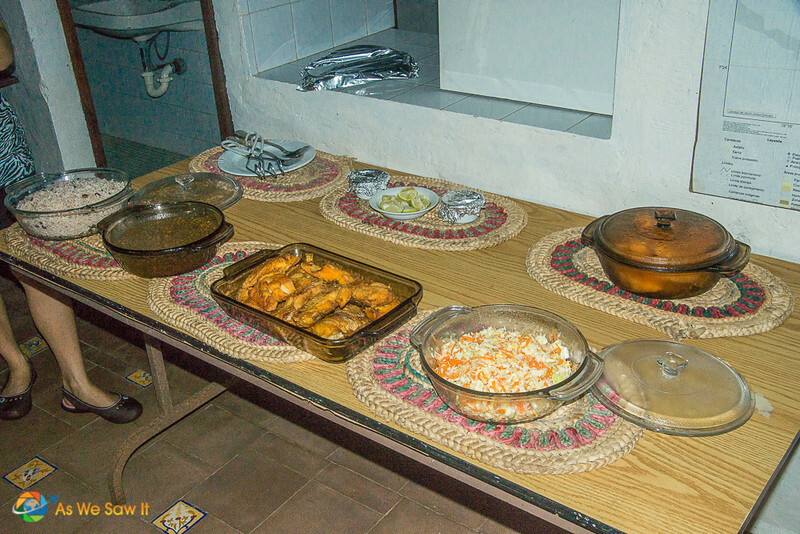 We paid 345 USD per person (in a private hut, dorms are something like 290) and it included literally everything except for soda, water, beer. 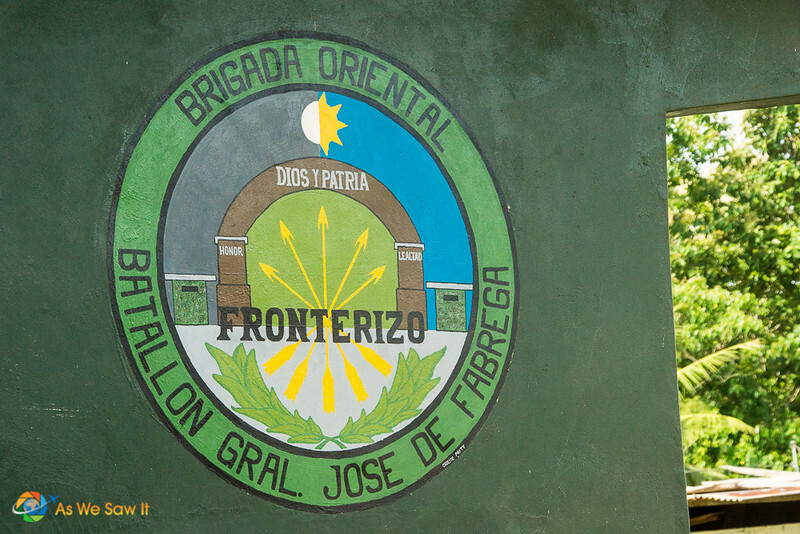 The companies name was San Blas Frontera. It’s quite new I think but the owner is from the Guna tribe and told me he ran an island for many years… either way, maybe we cheated a bit when crossing the Darien gap but it’s a great alternative you should really check out! A couple of days ago, I met a Canadian who recommended crossing the border on foot. He said there was a place right at the east, close to the Caribbean sea, where you only had to hike for about an hour and that it was all very easy and worth it. But when I asked him more specific questions, I found out that he hadn’t done that crossing himself and had only heard people talk about it. I then asked a local and he said he had only heard of that path being used by smugglers. After all that, we decided to book a flight to get from Colombia to Panama. And now that I’ve read your article, I am glad we decided to fly. Boats are not an option since we both get seasick and I really wouldn’t want to cross that land border. We’ve never heard of that path, Ilona, but I’d like to know more about it. Does it have a name? Great guide and very thorough. I’ve bookmarked your page in the hope I do the crossing one day. If you do, Dan, please share your experience with us. We would all really like to hear what it’s like from someone who has come through the ordeal. My time travelling in and around the panamanian side. And now end of december this year i am travelling from Jurado colombia to jaque in panama. Thanks for sharing your remarkable story with us. I enjoyed your article; you’re right it’s a very inaccessible place. Very interesting post, Linda! First of all, I felt like I was there with you, trying to cross the Darien Gap. I kept reading thinking that you might have decided to hire a local guide to take you to Colombia, but then I realized you were wise enough to stop at the border. Phew, what a relief! I am not adventurous at all, as opposed to my husband who would go to any length to get himself in trouble and be able to brag about it later. Secondly, I didn’t know anything about the Darien Gap, so I found out a lot from reading your post. South America is very wild and you need to exercise a lot of caution when visiting it. Don’t you think so? At least that’s my impression. I’m glad you enjoyed it, Anda. No, we just took an organized tour because our son Jimmy was visiting and we knew the Darien would be just his type of thing. It sounds like he was a lot like your husband – always looking for the action. In regards to your question about South America, our experience has always been positive, though I’ve heard that Venezuela is problematic. Wow what an experience! I enjoy your travel blogs and photos. Love from your cousin, travel on ! I’m glad you enjoy our photos and stories, Hope. We really enjoyed visiting the Darien but camping in the jungleand risking our lives just to get to Colombia on foot is not for us. Some people like it though, more power to them. Some internet posters confuse walking the gap, which properly means taking inland trails between Riosucio, Cacarica, Colmbia and Pucuro and Yaviza in Panama, with the safer coast-hopping options (Turbo, Capurgana, La Mielt etc). The inland route is highly controlled by drug gangs as is a main cocaine and arms smuggling point between the FAR/Urubeños in Colombia and Sinaloa Cartel in Mexico. No-one enters the trail without their knowledge. A backpacker trying to walk this route in 2013 went missing and his body recovered in 2015, he had been shot in the head. see this blog: http://travelswithmitzi.blogspot.com.co/2015/07/lost-in-darien-gap.html. We stayed at a lodge on the coast of the Darien as a part of a tour and hiked 7 kilometres through the surrounding rainforest. Our guide cut the path ahead of us as we went and it was still a sticky, hot, buggy, grueling trek that left us gasping for water despite the humidity. I can’t begin to express how uncomfortable we all were. Hiking through untouched jungle might be an enjoyable Appalachian Trail-type challenge under other circumstances, but the guerrillas in this area are not to be messed with. Thanks for the link. I did this trip in 1992 with a bicycle – two of us. It cost about $150 each. Drug trafficking was less of an issue back then. We had cycled from California and were on our way to Ushuia. We rode from Panama City to the end of the road and hiked, biked, canoed the rest of the way to the Rio Atrato, where we caught a motorized boat to Turbo. I think it took about 8 days from Yaviza to Turbo. We carried almost nothing except our bikes, a mat on which to sleep, and some food, which was not enough as we were not really able to buy food in the villages we passed through. At one point we were so lost we abandoned our bikes in the jungle between the border and La Katios Parque but soon found the right way and returned for them. I had PTSD for weeks after this adventure. Omigosh, I don’t blame you; I’d have PTSD from that too! It makes for a great story, though. Knowing what you know now, would you have done it? Nice write up guys. We’ve got two friends who crossed the Darien Gap on foot. They definitely did not pay $5’000, and it took them 7 days – a mix of hiking, kayaking and squatting on small boats. They didn’t hire expensive guides or military escorts. They just showed up and hoped for the best. We met them in Guatemala and they told us of their intentions then. 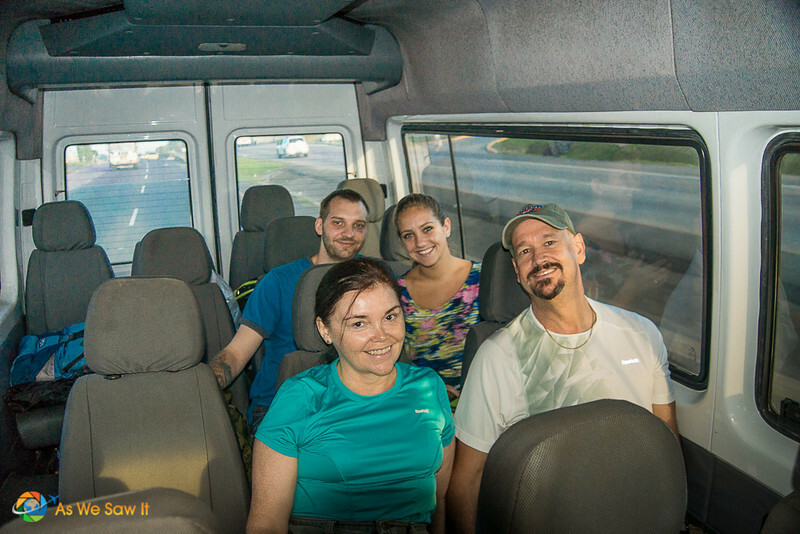 It was pretty nerve-racking when they put on FB that they are about to enter the Darien Gap, and we all sat around anxiously for 7 days, waiting for another status update. But they made it, had an incredible time and met some cool people. That being said, this Canadian couple were fairly nuts. Your friends are very brave. Glad they didn’t have to pay as much as some people charge. I’m curious how much it ended up costing them. I looked up our buddies and they have been inactive on Facebook for almost the entire year. I sent them a message but not sure if and when I will hear back. From what I remember they literally just showed up at the last town before the Darien Gap and asked around. They made it sound pretty easy. We assume “the last town before the Darien Gap” would refer to either Yaviza (where the Pan-American Highway ends) or La Palma (the capital of Darién Province, which takes more work to get to). If anyone else reads this and has more information about hiring a guide or other logistics about crossing the Darién Gap, please chime in! Hi. Can anyone give us the contact details of the Canadian couple who managed this. Me and a friend are going to try to cross Dariens now that the war with FARC is over. We have no guides, just GPS and a compass and map. Our budget is practically nothing, (my friend has been travelling for two years with no money) however one obsticale for us are the rivers. Does anyone remember the names of the villages along the way, where does one take a conoe and how much does it cost? I’m sorry, Yasho, we don’t know the name of the Canadian couple and NOMADsaurus has lost contact with them. Aside from asking around once you are near a river, the only other suggestion we have is to post the question on Quora and hope someone there might know. If you do find out, please let us know the answer and we’ll share it with other readers. We totally agree with that! Can’t imagine why anyone would want to cross a border like that if he didn’t need to. Taking the boat through the San Blas was definitely a great choice for us! Your photos of the jungle look awesome, but don’t really make me want to trek through it myself! I don’t really fancy disappearing in the Darien Gap, especially when the alternative is so beautiful! We don’t fancy such an ordeal either Jo, and that’s why we flew to Cartagena. You went to Colombia the other smart way, by boat. We would recommend either of those alternatives first, for sure! Despite the difficulties, I am sure it must have been awesome! I just find it too expensive, otherwise it’s not too bad! We wouldn’t do it either. Planes and boats are more our style. That said, after a 7 km hike in the jungle we understand why it’s so expensive. I suppose if you want a bungalow erected at every stop you could pay 5K. For those who want to do this do it from the other direction starting in Turbo to Capurgana Colombia. If you are at least a fair Spanish speaker, and not faint of heart I’m pretty sure you could find a guide for a fraction of the price. It’s a migrant trail and they surely aren’t paying 5K.